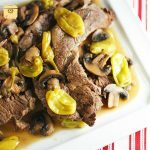 This Instant Pot Mississippi Pot Roast is easily the best roast I’ve ever had. Hands-down. 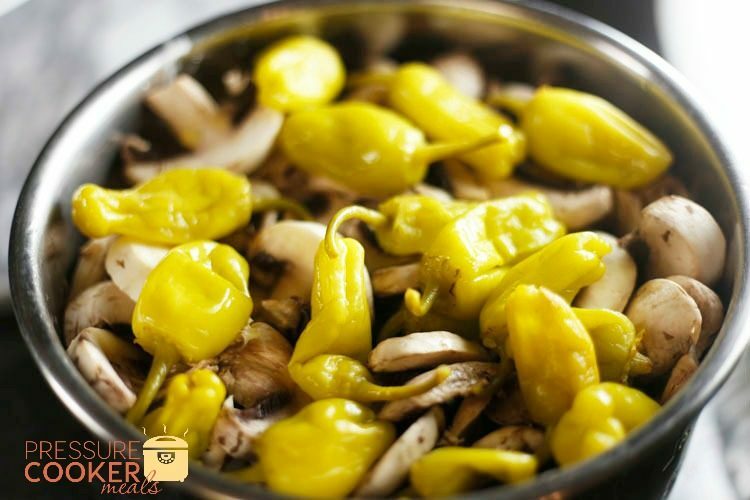 It’s incredibly flavorful and has a little extra kick that just takes it to the next level! I’m gonna be honest. My Mama made a delicious pot roast when we were growing up, but as an adult, I’ve always had hit or miss results with my roasts. Sometimes they were great. Other times they were bland and boring. 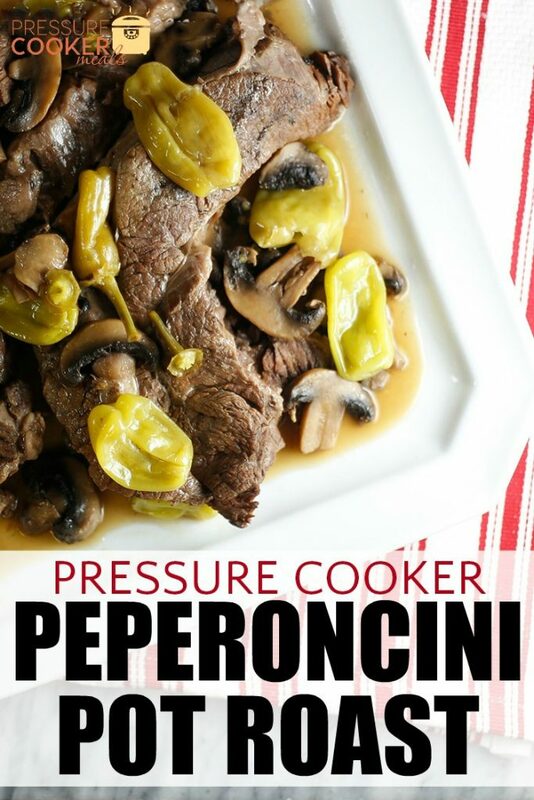 That is… until I made this Peperoncini Pot Roast. 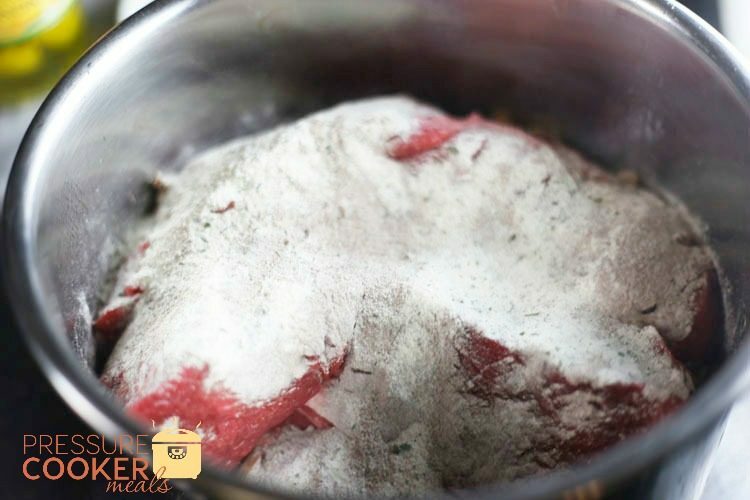 It’s surprisingly easy to prepare and the recipe is completely reliable. I’ve never had it turn out bad! This post contains affiliate links which means that, at no additional cost to you, I earn a small commission if you make a purchase after clicking my link. 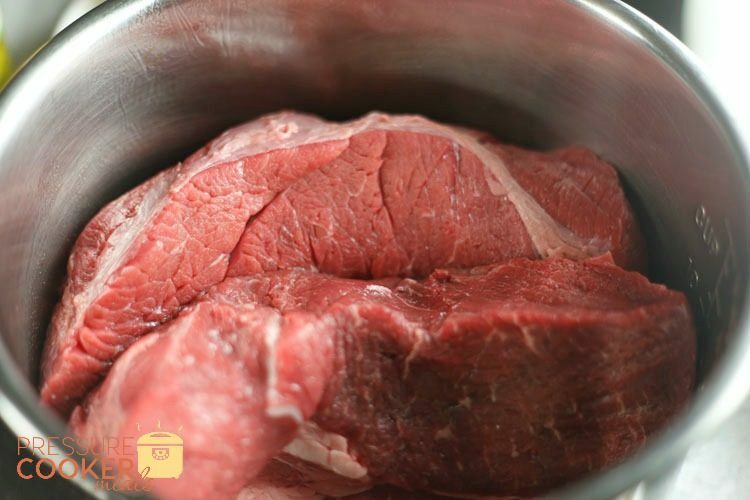 I make this roast in my 6 quart Instant Pot and it could not be easier. If you want to do a smaller roast, the only ingredient you might change is using less peppers. Everything else still works perfectly well for smaller roasts. 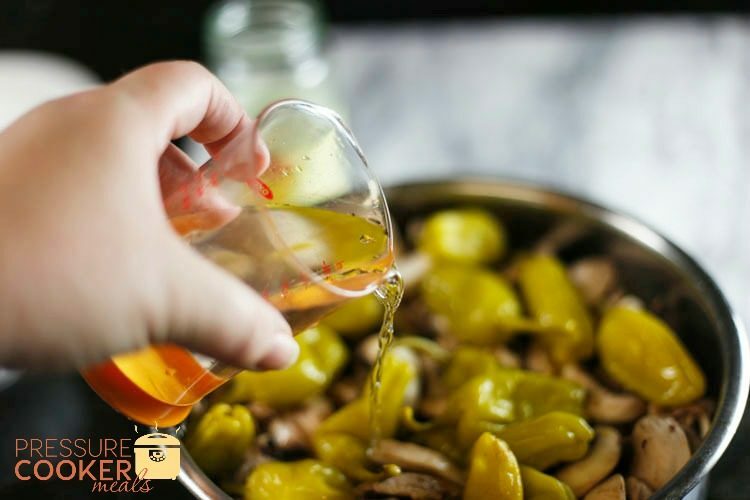 *Note that if you have small children or someone with a sensitive stomach, you may want to use only 3 or 4 pepperoncinis but we love it with the whole jar! Next, lay the roast(s) in the bottom of the pot. I had two smaller roasts so I just turned them on their sides to fit them in there. Sprinkle the ranch dressing mix and dry au jus gravy mix over the top. 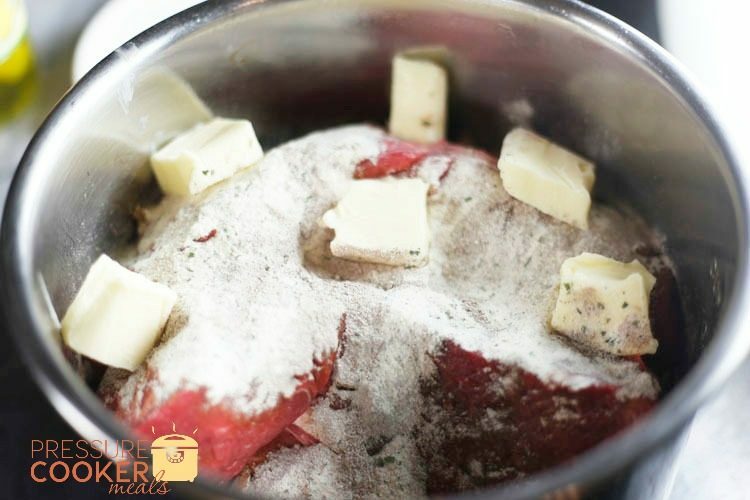 Cube up the butter and place it on top of the seasonings. 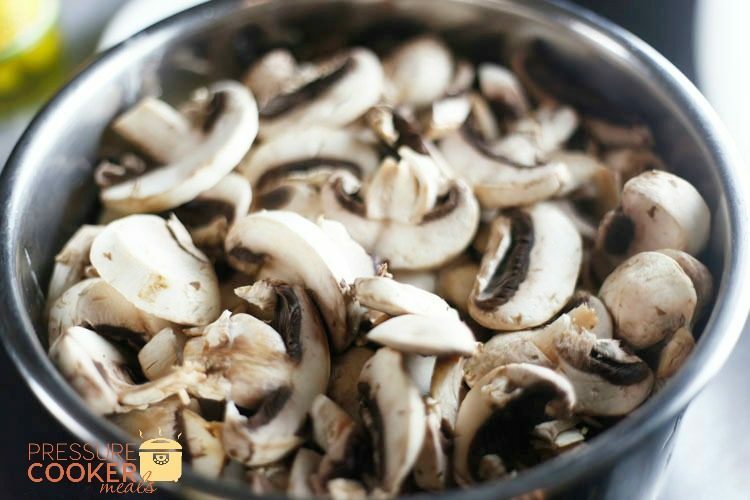 Pile on the sliced mushrooms! The pour on a whole jar of peperoncini peppers including the juice! Last, add 6 oz of water (3/4 cup). I didn’t take pics of the next steps, but set your Instant Pot to manual and cook for 50 minutes on high pressure. Let it rest for 15 minutes when it’s done, then quick pressure release it. It’s going to look so amazing when you open up that pot!! I spread it out on a platter for my family and it was so tender, they could pull apart pieces with a simple fork! In fact, it didn’t even stay whole when I was removing it from the pot. The meat will just melt in your mouth! We like to serve it over rice or mashed potatoes! It’s perfection!! 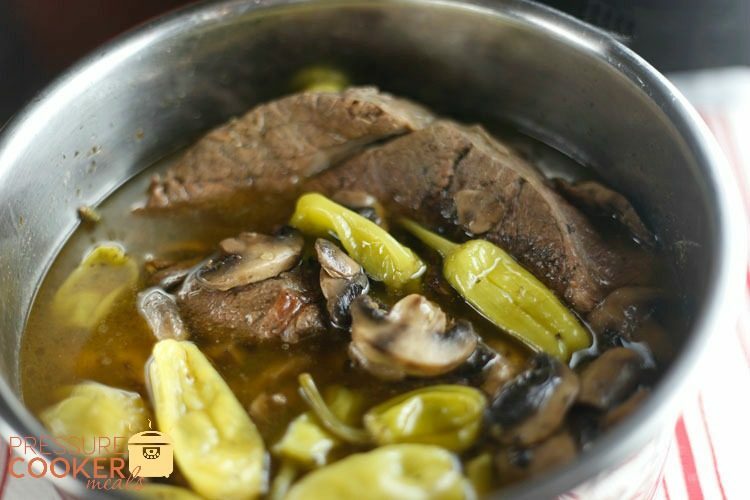 Have you ever made an Instant Pot Mississippi Pot Roast? Leave me a comment and tell me about it! The printable recipe is below! This is the best pot roast we’ve ever had! 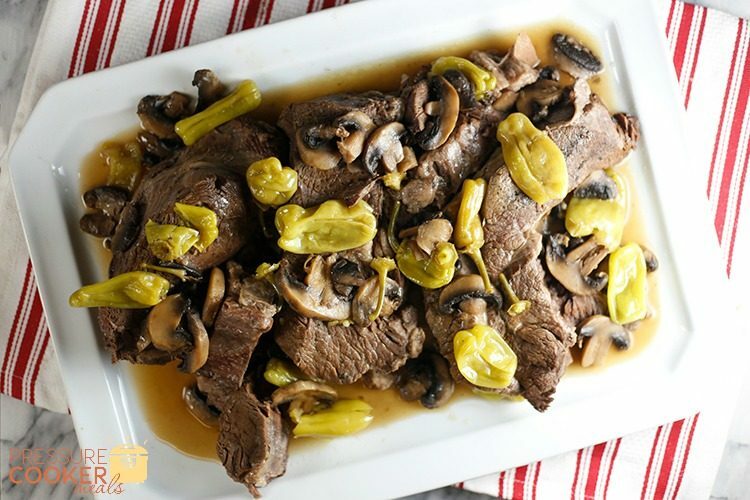 It’s a flavorful, delicious roast with a little extra kick that you’re going to love! It’s also super easy and done in a pressure cooker, it’s ready to eat in under 90 minutes! 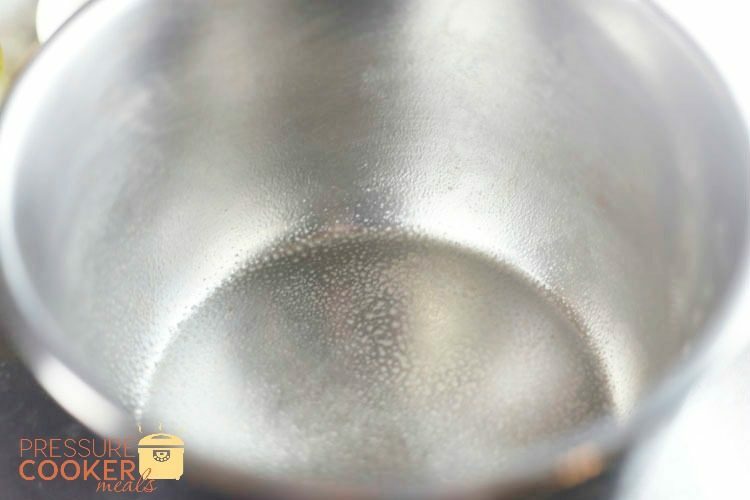 Spray the bottom of your pressure cooker pot with non-stick spray. Place the roast in the bottom, then sprinkle on the au jus gravy mix and ranch dressing mix. Cube the butter and place around the top. 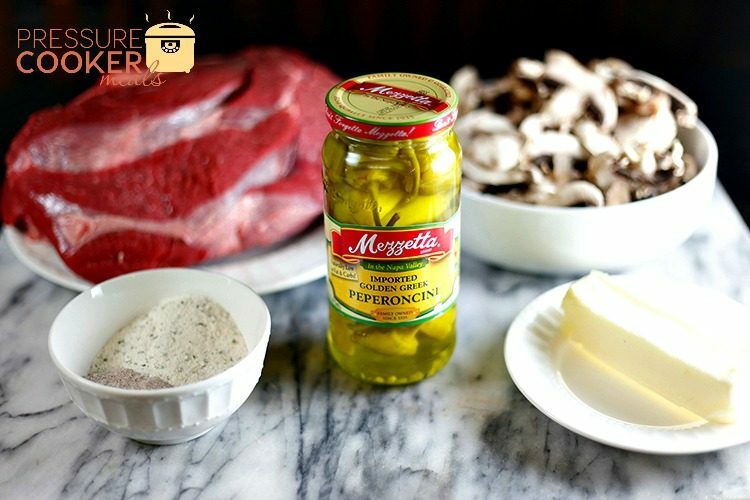 Pour the mushrooms on top, then the whole jar of Mezzetta Peperoncinis – including the juice. Pour in another 6 oz. of water. Close the lid and cook on high pressure for 50 minutes. It usually takes 10-15 minutes for the pot to come up to pressure. Allow 15 minutes for natural pressure release, then you can switch to quick release. 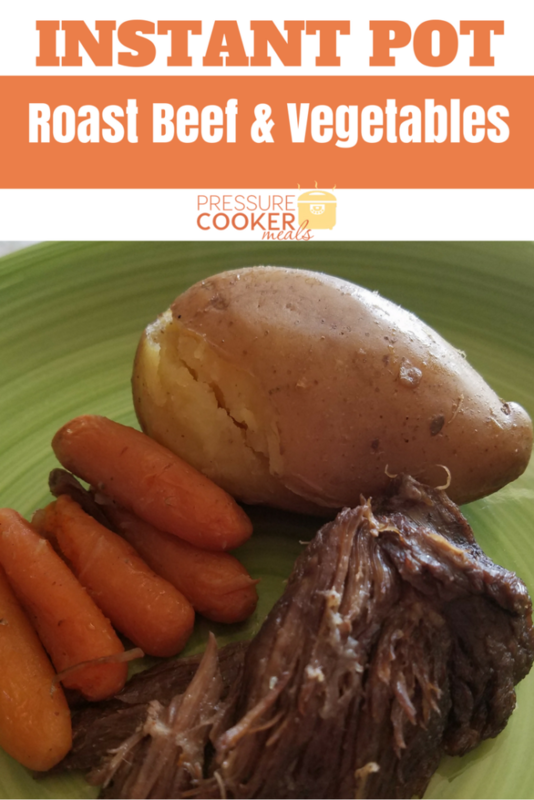 *If you’d prefer to do this in a slow cooker instead of a pressure cooker, you will need to cook on low for approximately 8 hours. 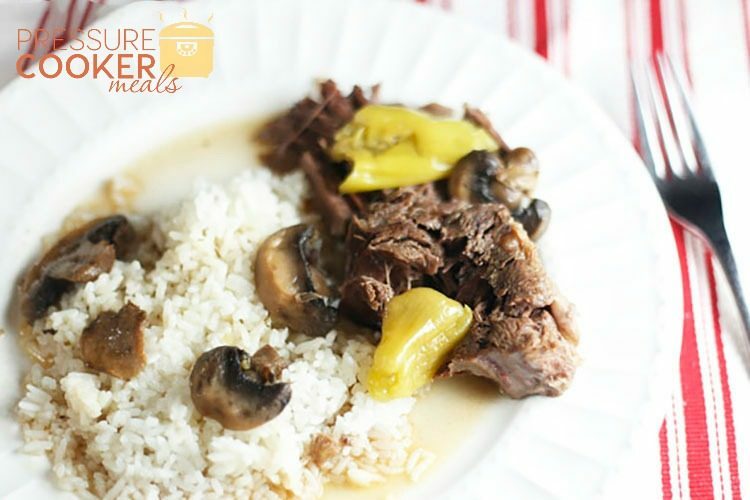 I’ve made this in my slow cooker and loved it! Can’t wait to make it in my Instant Pot! Thanks for posting!